Whose visual style is most appealing to you (and why)? One of my favorites is Vittorio Storaro, pic related. I never knew the name until I started watching early 70s gialli, particularly The Fifth Cord and Le Orme. Those films (and his work with Argento and Bertolucci) had a strong impact on me, more than his later movies that everyone has seen. I love his chiaroscuro of vibrant colors and deep blacks, the repeated use of parallel lines, and the scenes enveloped in light blue haze. Here is a profile of Storaro, Writing with Light from 1992 which is also the name of his books. I could upload more screenshots for some of his films but that's kind of like playing only one note from a piece of music. The top google image result for "flim noir" is John Alton's iconic shot from The Big Combo. Alton helped define the style with films bathed in black shadows. There's a great DVD including two of his essential films: Raw Deal and T-Men. The steam bath scene in the second film is particularly memorable. Interesting connection that Alton's book Painting with Light was titled quite similarly to Storaro's Writing with Light. Somebody made a post on cinematography but I don't see it anymore. It reminded me about this thread so I'm bumping, anyone else care to contribute? Another great artist is Zbigniew Rybczynski, known for his inventive experimental shorts and the serial killer film Angst (1983) which was a huge inspiration to Gaspar Noe. What are good films with amazing cinematography to watch? I've been trying to suggest some. You could look at Best Shot Films from American Cinematographer magazine but it's mostly a list of familiar titles. I'm not up to par with the cinematographers as much as I should be but I'd have to say Freddie Young and the guy who DP'd Barry Lyndon, John Alcott. Thanks for the recommendations! 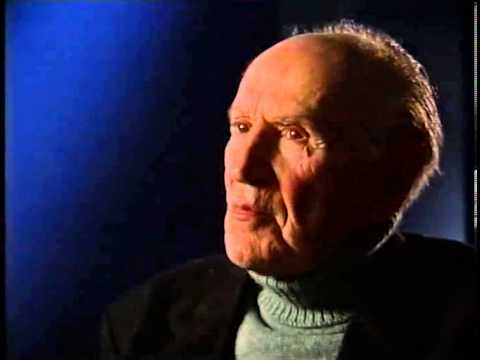 I would like to add this very good documentary on Jack Cardiff. Jesus it's a mixed bag. >Cinematographer Style is a 2006 documentary by Jon Fauer, ASC, about the art of cinematography. In the film, he interviews 110 leading cinematographers from around the world, asking them about their influences and the origins of the style of their films. This is the first major English-language documentary on cinematography since Visions of Light(1993). <In celebration of the 110th anniversary of his birth, Japan Society presents an 11-film retrospective surveying the work of Kazuo Miyagawa (1908-1999), the most influential cinematographer of postwar Japanese cinema. Working intimately with directors like Yasujiro Ozu, Akira Kurosawa, Kenji Mizoguchi and Kon Ichikawa on some of their most important films, Miyagawa pushed Japanese cinema to its highest artistic peaks through his lyrical, innovative and technically flawless camerawork. I'll watch for that name from now on. I know very little about Japanese cinematographers. Darius Khondji was DP on Delicatessen, Se7en, Amour, Funny Games (2007), The City of Lost Children, The Lost City of Z, Alien: Resurrection, Stealing Beauty, Okja. When you take on a project, how do you begin to visualize it in terms of the framing, the lighting and the overall look you want to give the film? <This fun montage screened during the 28th Annual ASC Awards ceremony in 2013 and includes onscreen cameos made by cinematographers in a variety of motion picture and television projects. I had always thought that Tron was filmed entirely in 65-mm.